Once a hard-partying New York ad executive who ended up on welfare and in Alcoholics Anonymous, he is now well known as the author of a highly praised, best-selling debut novel, A RELIABLE WIFE, and a blistering tell-all family memoir, THE END OF THE WORD AS WE KNOW IT. Instead of passing wanton nights at New York nightclubs, today he finds himself signing books everywhere from Paris to Los Angeles, all part of a nine-week tour to promote his latest novel, HEADING OUT TO WONDERFUL (Algonquin, $24.95). The novel goes on sale June 12th. 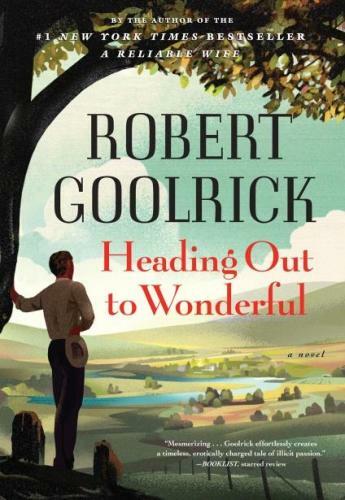 Read all of USA Today’s interview with Goolrick re: HEADING OUT TO WONDERFUL.